As I began browsing through her shop, Sweetwater Gifts offers such a variety of designs and prices that I can't see why anyone would dare pass up her items. The Willow Spring Earrings (above) are so wonderfully delicate and yet still hold so much composition. 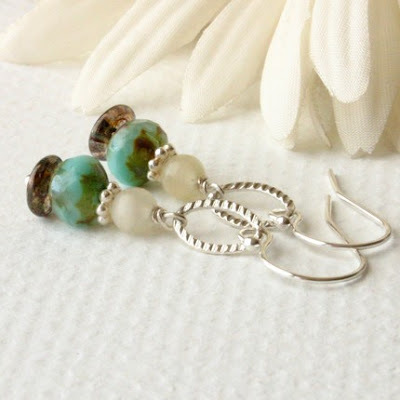 They are made to go with the Willow Spring Necklace that is featured on Etsy's Twitter Team blog interview of Sweetwater Gift; where you can learn so much more about this creative shoppe owner. 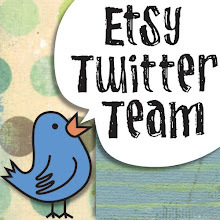 The whole article can be found at The Etsy Twitter Team's Blog. Check out previous articles on other team members, as well. You'll find we are a diverse group of artists who just love both tweeting and creating. I have to say, I just love the Men's Joshua Turquoise (above). It's so says, "summer"; with that wonderful charm, I think I would get it for the guy in my life and then, oops, it suddenly disappears into my jewelry box!! Just like that Phillies T-shirt, but please keep that as our secret! 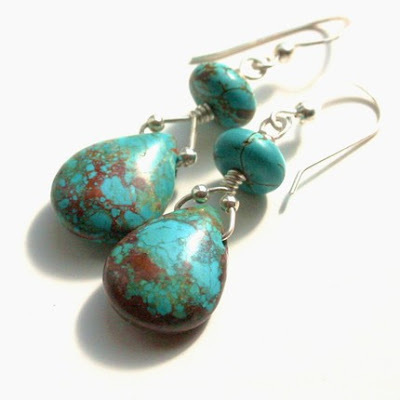 These City Chic Turquoise & Howlite Earrings (above) are right up my alley! 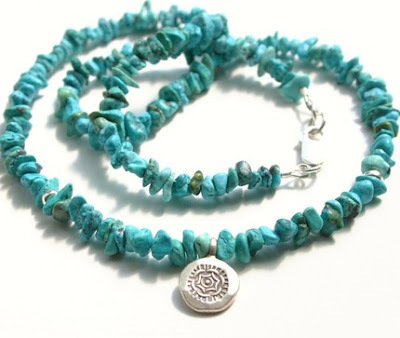 The price is right and could you tell by my Sweetwater shop choices that I just adore turquoise. I just love this photo as well, it shows all the marvelous tones of the stones and the care that is taken with making each and every unique piece of jewelry. 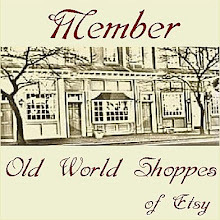 OH, and BTW, Sweetwater Gifts is offering FREE SHIPPING on all items from Jan 18th-24th, 2010!! So why not by a set or two and then get the 10% off they are offering as well on purchases over $50.00!! It's a STEAL if you ask me! So get on over there!! Thanks so much sweetie! But this was so easy to write with all the marvelous items you create! Much success to you!